Lively leather bootie in moss green. Round off your Trachten-style outfit with a pair of traditional booties in apple and moss green leather and hemp with checked monochrome inner. Featuring a white outsole, a moss green welt lined with contrasting white stitching and matching moss green toe box, heel counter and back stay, this bootie is the choice of many a Bavarian goddess. 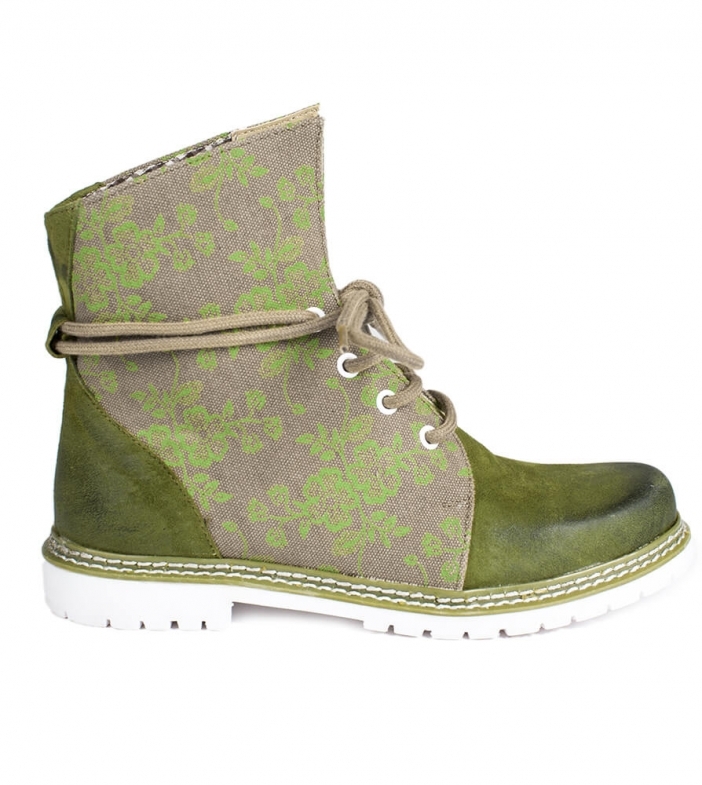 With grey hemp vamp fastened with matching shoelaces and sprinkled with the print of Alpine flowers, these booties are ideal for both hiking and competitions.